There is no other drug which can give a connective tissue disorder patient a normal life. Especially not a pain-free one. The drugs used to treat connective tissue disorders all come with side effects, which are as disabling as the disease. I have a life on Antineoplaston Therapy which I would not have had otherwise. Today though I still have a problem with fatigue(which is being improved thru use of glyconutritionals), I am living a mostly normal, pain free life. I am working on a Masters degree in Holistic Nutrition and still working as a Registered Respiratory Therapist. I'm looking forward to a career change and an opportunity to help people live better healthier lives thru nutrition and glyconutritional products. That would not have been possible without Antineoplaston. I have often pondered that worse than the pain of disease is the loss of human potential which accompanies disease. Perhaps, Antineoplaston's greatest gift is the ability returned to the individual to achieve the potential God placed in us. Thank you Dr B, for making this possible........and thank you God, for Dr B. In 1987, I was diagnosed with undifferentiated connective tissue disease (UCTD), which is a close cousin to lupus. My doctor immediately had a long talk with me about how my life would be changing and how I would have to slow down. This should have been a clue to me as to how sick I was, but it took a while for it to sink in. It sunk in well over the next 7 years. My life became a never-ending nightmare of fevers, joint stiffness, inflammatory myositis, lung problems, extreme fatigue and weakness, sun sensitivity, chest pain, and paroxysmal tachycardia (not to mention the depression that accompanied coping with all of that and the myriad of side effects from the drugs used to treat UCTD). The periods of weakness became so extreme at times that I literally could not move. I could not even lift my arm to answer the phone at my bedside. Things healthy folks take for granted such as grocery shopping, going to a friend's house to visit, doing laundry, and getting in or out of a car exhausted me. When I my lung function decreased and I became dependent on inhaled medication, I went through a pulmonary rehabilitation program. Finally, walking became so painful it often brought tears to my eyes. It was at this point my boss started to talk to me about the possibility of my leaving work on disability. At this same time, a friend in my support group announced she had found a doctor in Texas with a miracle drug. Being a respiratory therapist I knew there was no such thing as a miracle drug, and I felt sorry for her. But then a curious thing happened. She started to get well, whereas I wasn't getting well. My condition had slowly deteriorated, and my future looked grim. The drugs used to treat connective tissue diseases have dangers of their own, which often are as bad as the disease itself. Moreover, the best these drugs can offer is only to slow down the progression of the disease. I felt I had nothing to lose. My friend Anacia graciously consented to go to Houston with me and talk to Dr. Burzynski. Soon we were on a plane to Houston. I have been taking antineoplastons for 4.5 years. Although I am not completely well, antineoplastons have literally given me back my life! Before antineoplaston therapy, I needed pain medications frequently. I no longer take pain medication. Although there is still a point at which I can overdo and become fatigued, the threshold for that is close to normal. I am no longer sun-sensitive. Though my lung problem is not reversible, I am no longer dependent around the clock on inhaled medication. In fact, I rarely need it. My doctors had considered me to be steroid-dependent, but I have been off prednisone for 3 years. I am also off Plaquenil (another drug used to suppress UCTD) and no longer take heart medicine. The only medicine I take now is antineoplastons (the dosage of which is slowly being decreased) and on very rare occasions, Proventil (an inhaled medication). I am able to live a normal, productive life. I have my life back. My life would not be the mostly normal, pain-free one it is today if it were not for antineoplastons. There is no other drug available that could have done for me what antineoplastons have done. One in every 187 people in America has a connective tissue disorder. Soon the statistic for cancer will be one of every two persons. Chances are someone you love will get one of these disorders. Antineoplastons have been proved to be effective, and they should be available to you. I was diagnosed with undifferentiated connective tissue disease (UCTD), which is a close cousin of lupus. In normal folks the body makes certain antibodies to fight off bad germs. In connective tissue disorders, however, the body makes these antibodies even when there are not bad germs to fight off. Instead, the antibodies attack the body. When I was diagnosed, my doctor immediately had a long talk with me about how my life would be changing and how I would have to slow down. His words and the tears in his eyes should given me a clue as to how sick I was; however, it took a while for the reality to sink in. During the next 7 years my life became a nightmare of fevers, joint stiffness, inflammatory myositis, lung problems, disabling fatigue and weakness, sun-sensitivity, chest pain, and paroxysmal tachycardia. And then there was the depression that accompanied coping with feeling ill 24 hours a day nonstop and the myriad of side effects from the numerous drugs used to treat UCTD. Everyday activities that healthy folks take for granted--grocery shopping, visiting friends, doing laundry, even simple things like getting in and out of the car--exhausted me. I became deconditioned, which affected my lung function, necessitating dependence on inhaled medication. My pulmonary specialist sent me through a pulmonary rehabilitation program in an effort to fight the debilitation. It was a shock to find myself (a respiratory therapist) in the same rehab program with some of my patients. I was only 35, and they were for the most part all in their 60s and 70s. Over time, my physical condition slowly deteriorated. Walking became so painful it often brought tears to my eyes. I was chronically short of breath, and my heart rate would become tachy without warning. I had periods of weakness lasting for hours at a time during which I could not even lift my hand to answer the phone next to my bed. Of course, at this point I began to miss more work and my boss began to talk to me about the possibility of my leaving work on disability. The drugs used to treat UCTD (and lupus) have dangers of their own, which often are as bad as the disorder itself. Moreover, the best these drugs can offer is only to slow down the progression of the disease. It was at this point a friend in my lupus support group announced she had found a doctor in Texas with miracle drugs. Being a respiratory therapist I strongly doubted her news, until I saw her beginning to get well. 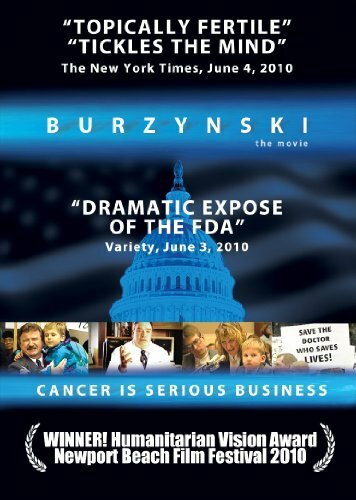 The doctor she saw was Dr. Burzynski, and the drugs are called antineoplastons. I decided to contact Dr. Burzynski. I now have been on antineoplaston therapy or 6 years, and its quite literally has given me my life back!!! Before antineoplaston therapy, I frequently needed pain medication. Today, I no longer take pain medication. Being out in the sun used to make me sick. Today, I am no longer sun-sensitive. Although my lung problems are not reversible, my need for inhaled medicine has been reduced. After being on prednisone for 7 years, my doctors had considered me to be steroid-dependent. Thanks to Dr. Burzynski's antineoplaston therapy, I have been off steroids for close to 5 years.